These simply furnished holiday apartments with sea views are located in a family house and can also be rented together. Due to the good location you reach the pebble beach in a few minutes walk. These simply furnished holiday apartments with sea views are located in a family house and can also be rented together. Due to the good location you reach the pebble beach in a few minutes walk. In front of the house is a garden with barbecue, which is full of Mediterranean plants and is available to all guests of the house for common use. Jadrija is a peaceful place with beautiful beaches and from the coast there is a beautiful view on the Šibenik canal and the fortress of St. Nikola offerd. From this popular seaside resort boat trips to Šibenik or cycling tours to Vodice are recommended. This studio apartment is made from brick or stone and was originally built in 1980 and refurbished in 2017. The agent has rated it as a three star property so it is a well-kept studio apartment, equipped with standard furniture. It is also good value for money. 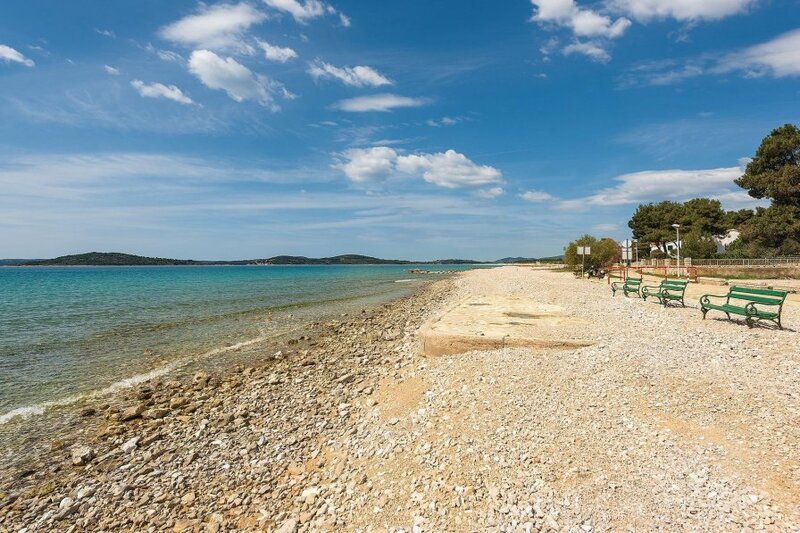 This studio apartment has restricted sea view and is located in Jadrija, only 5km from Sibenik. The nearest airport is 70km away. It is set in a very convenient location, just 70 metres away from a stone and pebble beach. There's also a restaurant only 500 metres away. The studio apartment has free wireless internet. You can also park on-site at no extra charge. 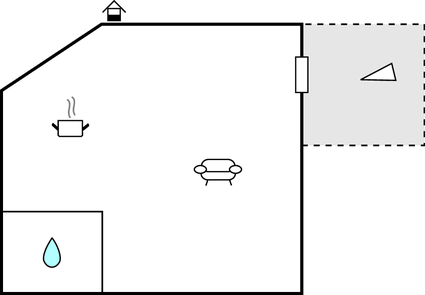 The studio apartment is adequately equipped: it has a refrigerator and shared washing machine. It also has a shared barbecue and some shared garden furniture outside.